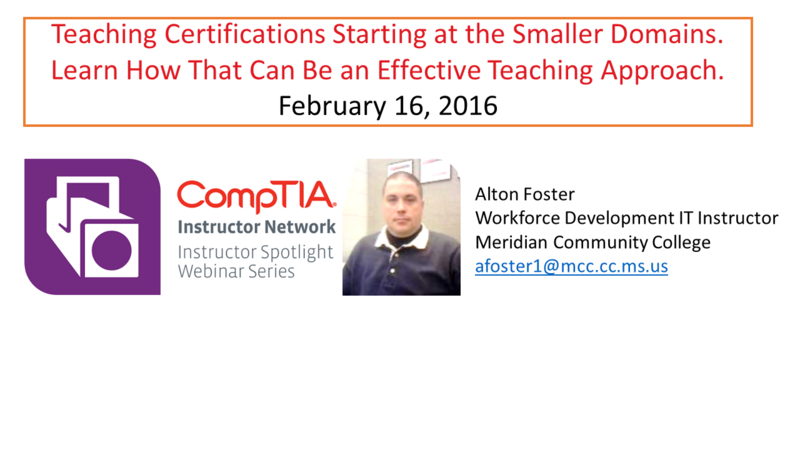 Teaching Certifications Starting at the Smaller Domains. 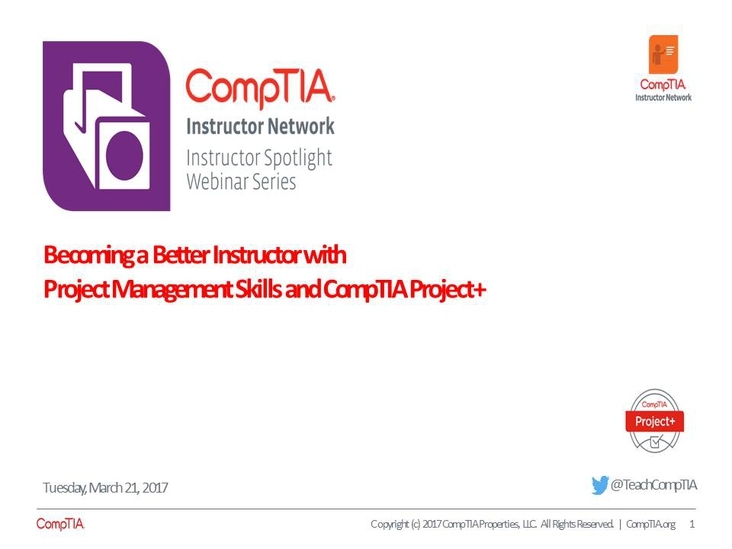 Learn How That Can Be an Effective Teaching Approach. Instructor Tom McLaughlin has taught for over 17 years professionally and enjoys seeing the 'lights come on' for students who are struggling with their studies. Tom uses a proven approach where students use something silly to associate with IT terms. 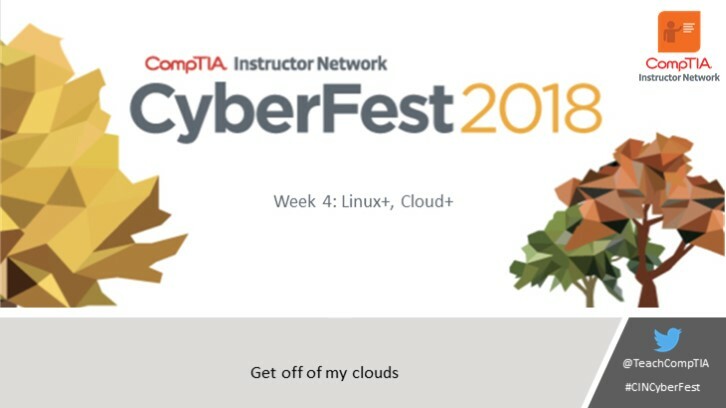 His secret desire to be a stand-up comedian helps as well. 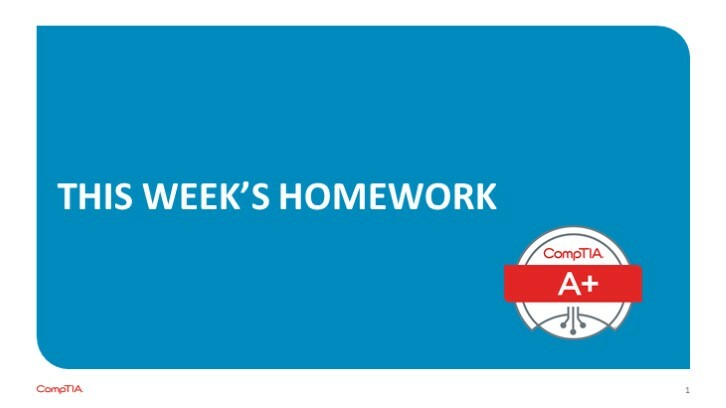 The success he has seen are students removing the fear of IT, passing certification exams, and still remembering things years down the road attested by emails he gets from past students. 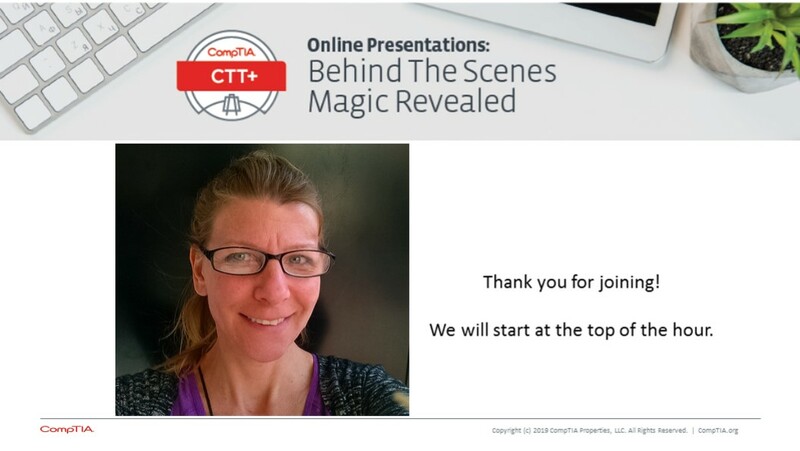 The secret is knowing your topic well, and rehashing it into a simpler format for students to grasp. 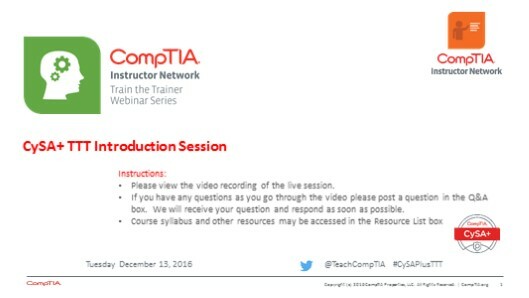 Basically you are a glorified cow... Be sure to join the session to find out how! 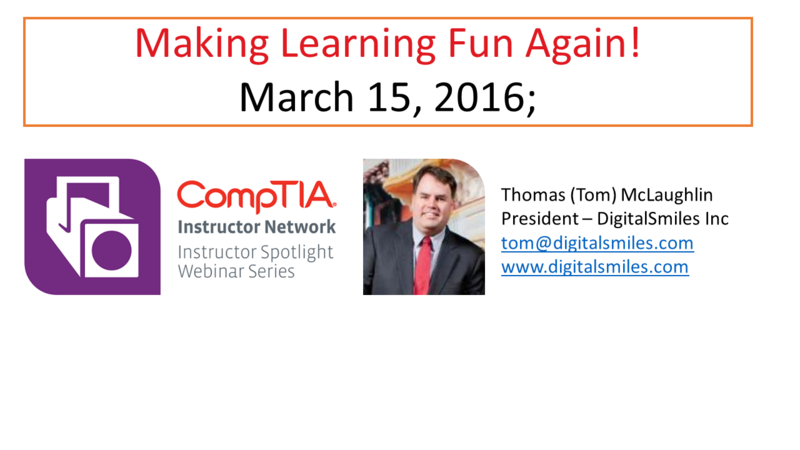 Tom will be sharing with you different approaches to lighten up training making it fun for the student, engaging and interactive. This will provide you with insight on how you may take some of Tom’s approach and apply it to your training. 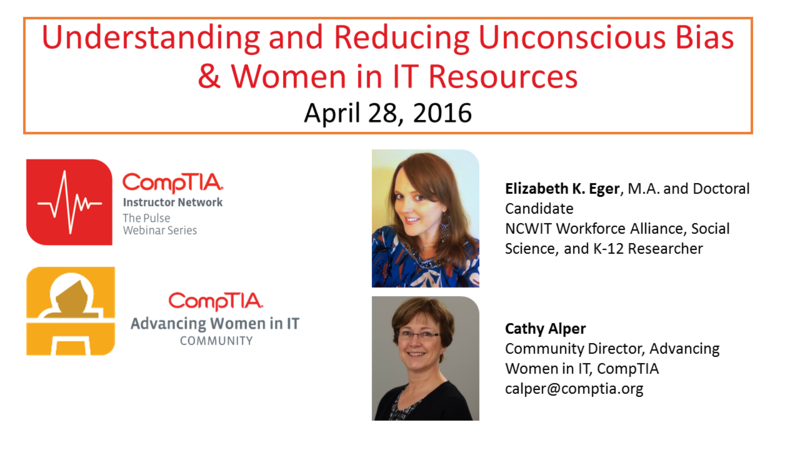 Join Elizabeth K. Eger to learn how unconscious bias discourages women and other underrepresented individuals from pursuing education and careers in technology. In this interactive presentation, we will explore how educators and employers can effectively address hidden barriers in order to better attract and retain the diverse students/employees that will drive future innovation. 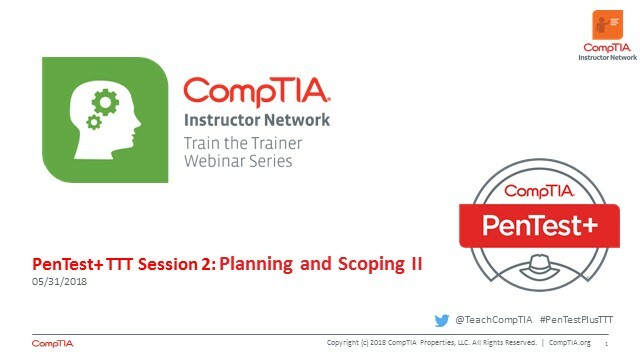 Attendees will learn about concrete strategies and resources for implementing better practices in their classrooms and organizations. Tips on how to eliminate unconscious bias in recruiting, teaching/tech classrooms, and workspaces. 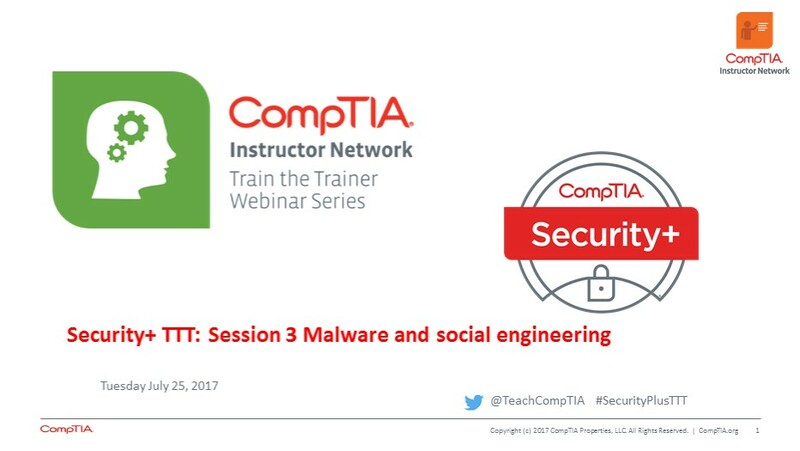 Join Andrew Smith from the UK Open University, who uses social media, namely Twitter, LinkedIn and Facebook to reach out to his Security and Linux (as well as Cisco) students. 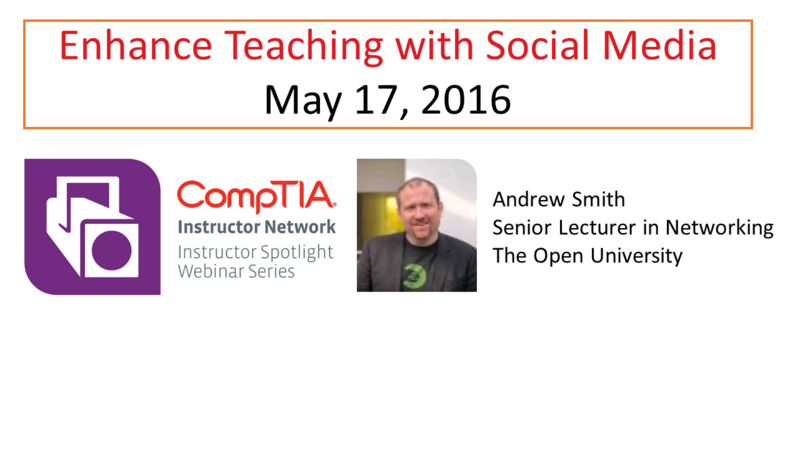 Coined as ‘teaching by twitter’ - Andrew will share his experiences of extending the classroom into the social media space - using many free or low cost tools to reach students and larger audience. 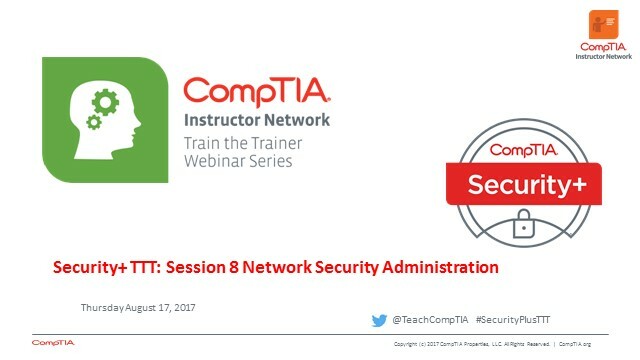 Before you join, you can see some of his work via @OUCyberSec, @OULinux and @OUCisco. Andrew will show you how you can use social media to reach out to your students and connect with students outside the classroom, providing support and instruction in a medium they use daily. 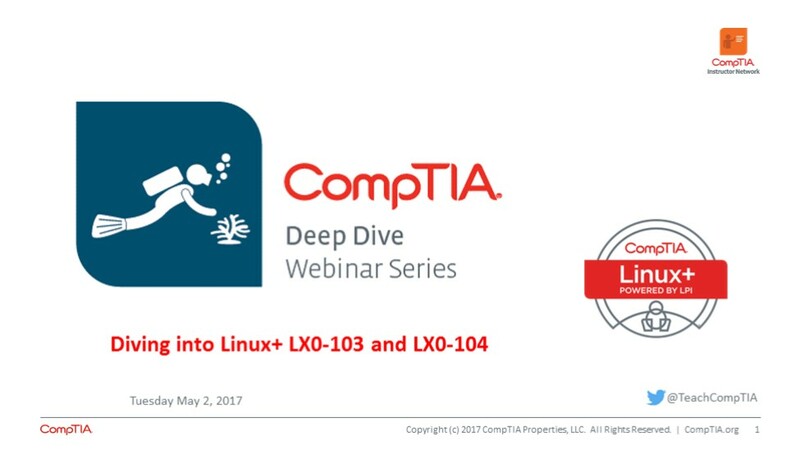 Linux remains the key player in IoT, the cloud, security, and our mobile-aware world. 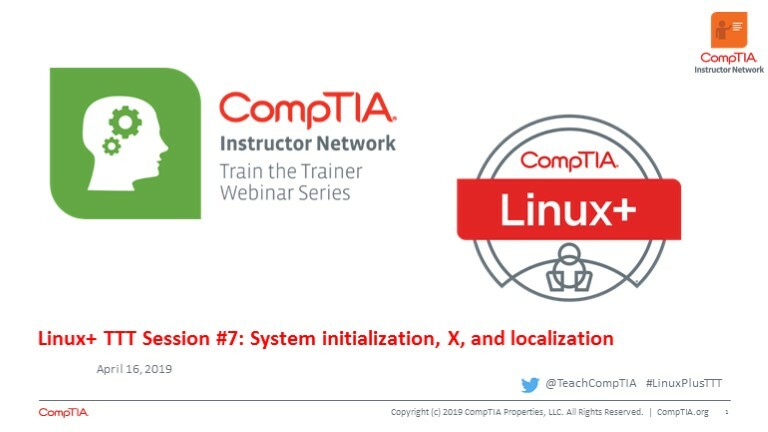 Let’s take a look into each of the sectors where Linux is relevant, and take some time to learn more about how it works. 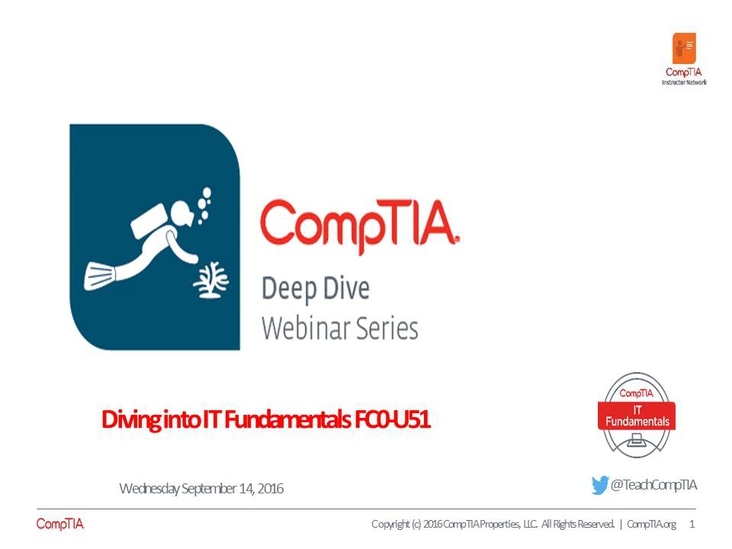 This presentation will take a hands-on look into today’s myriad implementations of Linux. 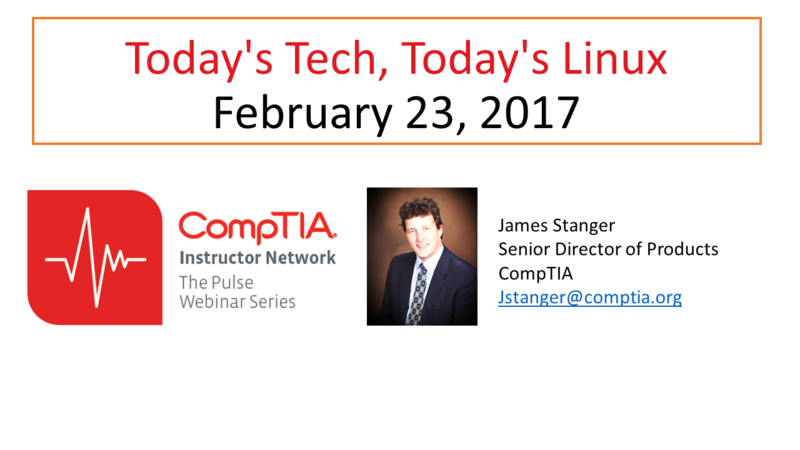 If you’re interested in learning more about how Linux is used today (as opposed to 20, 10, or 5 years ago), this presentation is for you. This will help you position the importance of Linux in your educational program. It will also provide you with a lot of hands on examples for installing and tools used with linux in a networked environment. 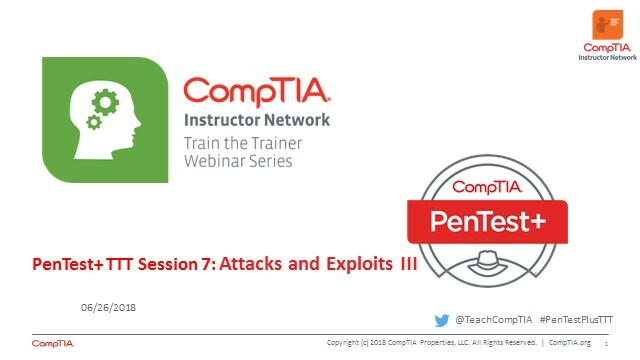 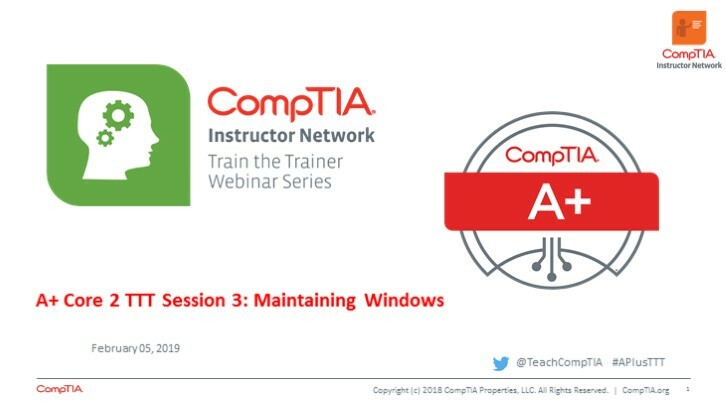 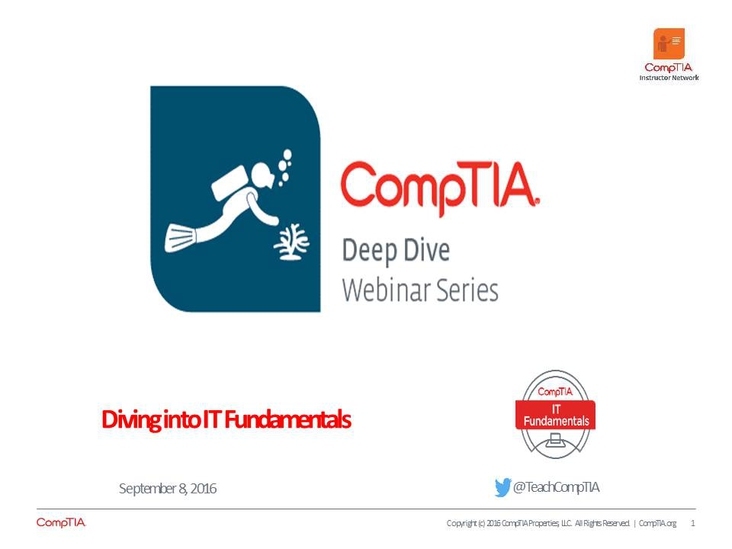 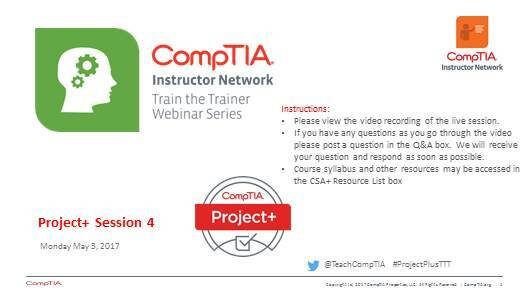 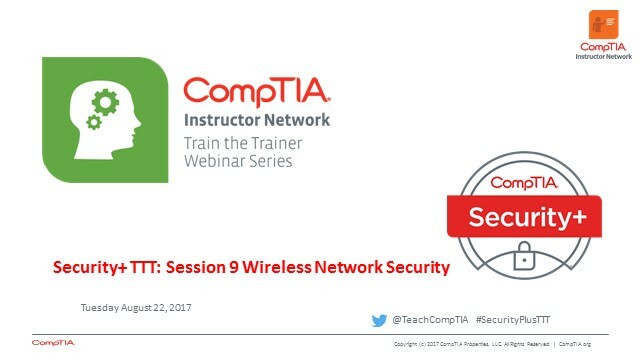 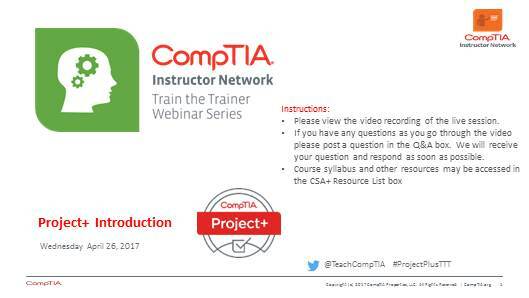 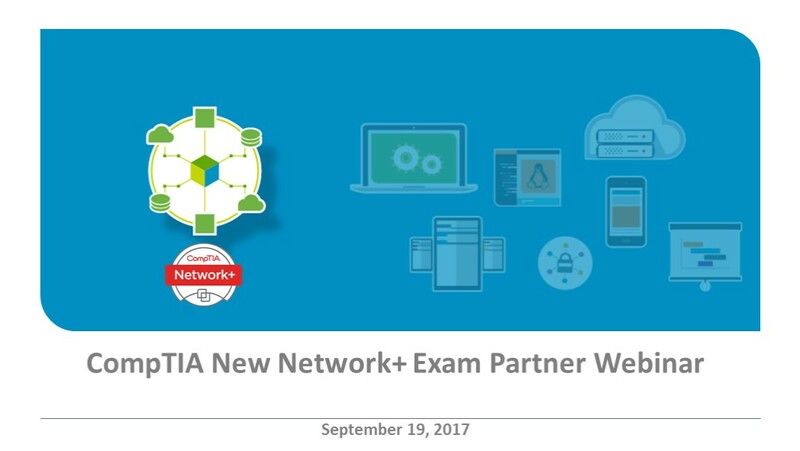 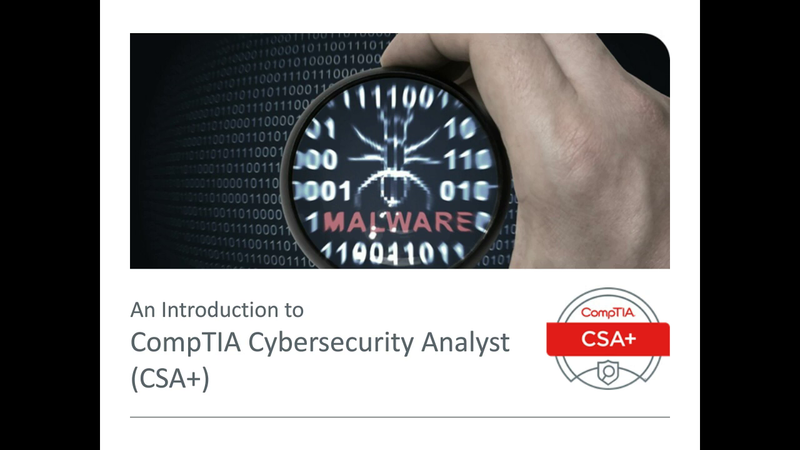 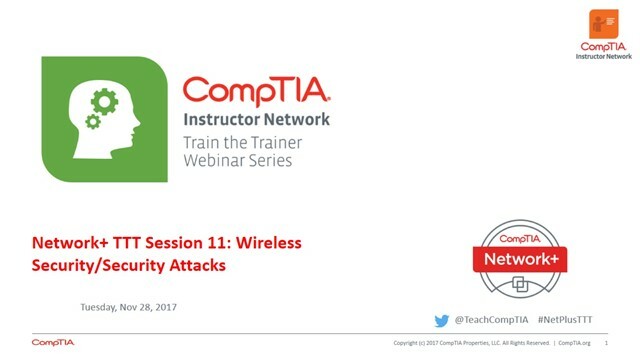 A course on CompTIA Security+ is often the first in-depth security course that most students take. This makes teaching this course sometimes a challenge. 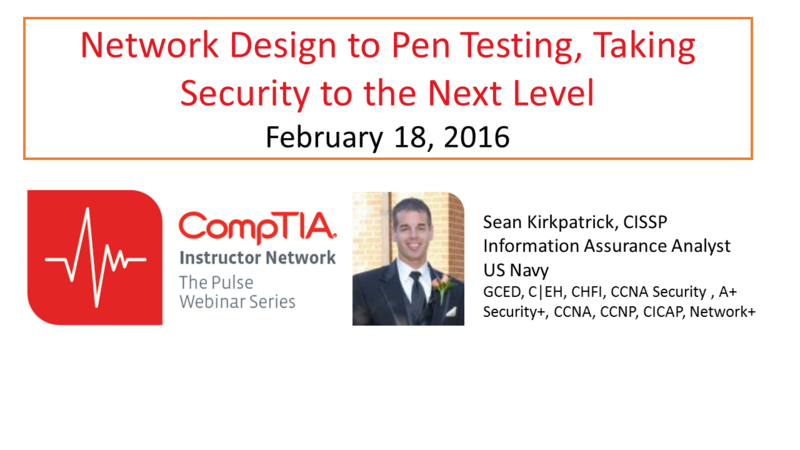 Often students are at different levels of experience and knowledge regarding security. In addition, typically some students are extremely interested in security while other students are completely disinterested in the topic of security and "tune out" even before the course begins. 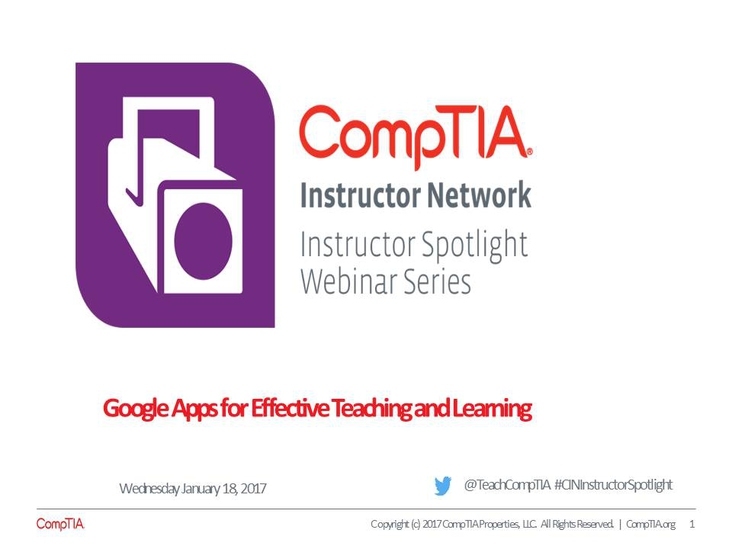 What are some teaching strategies to spark interest in the disinterested? How can we use meaning instruction and activities that will help both beginning as well as advanced students learn about security? 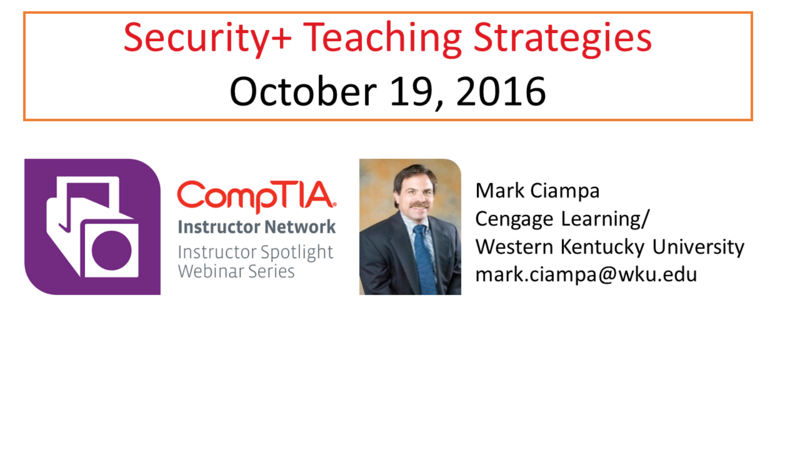 In this workshop we will explore teaching strategies for teaching Security+. October is National Cyber Security Awareness Month which is an annual campaign to raise awareness about cybersecurity. We live in a world that is more connected than ever before. 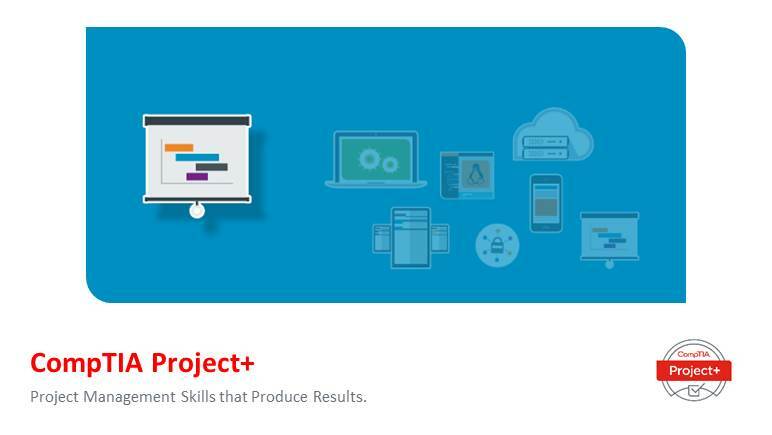 The Internet touches almost all aspects of everyone’s daily life, whether we realize it or not. This is a great time to take a minute as technology instructors and think about how to discuss this topic with our students. Join us as we welcome Ron Culler, CTO of Secure Designs Inc and Charles Kolodgy, Senior Security Strategist at IBM as they share their expertise in the field of security and talk about current trends in cyber security threats and technologies used to protect large and small business data. 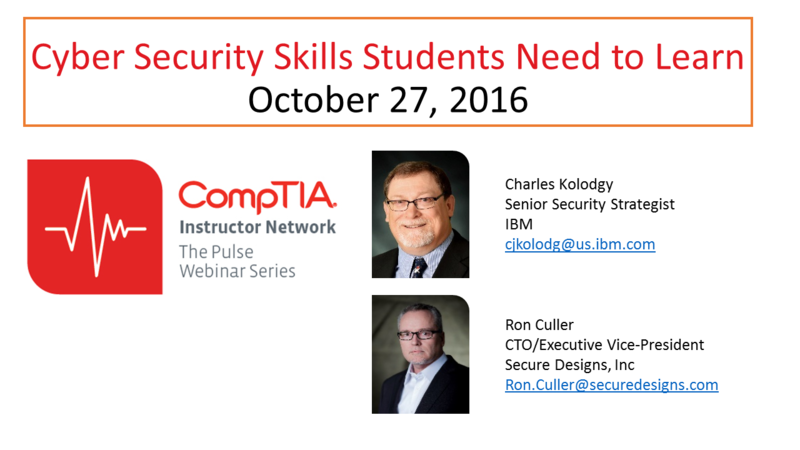 Ron and Charles will also discuss what students need to do in order to prepare for a career in cyber security and what to expect in various job roles. Dwight W. Thomas, Technical Lead, SCADA Networks & Security Enbridge Energy, will join us and share his experiences implementing and supporting IT in various industries. 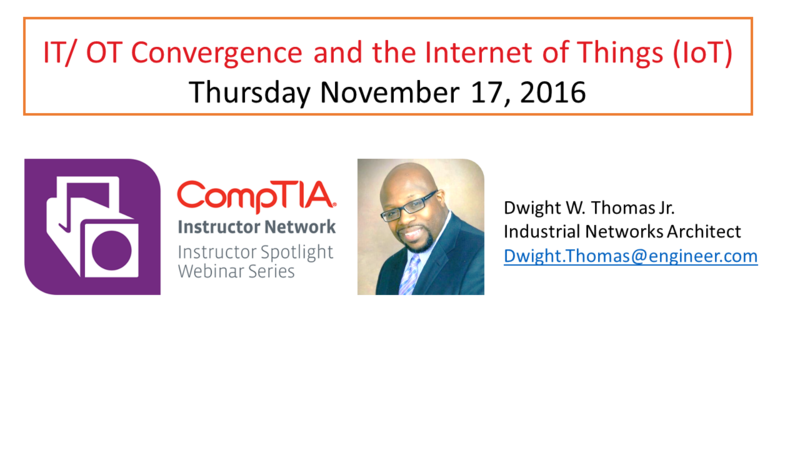 Dwight will discuss the emergence of IoT in manufacturing and the unique issues IoT brings to the technology field. 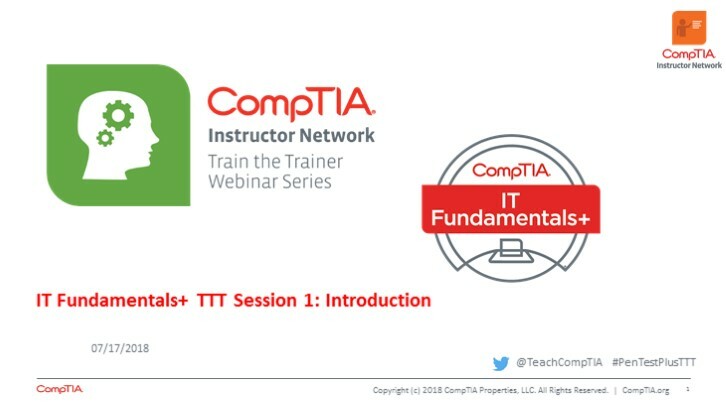 Attend this session to help your students understand the role of IoT in the IT field. Gain knowledge of how IoT is used and share with your students. January 12 we covered the following: Discussed the review questions from session 1. 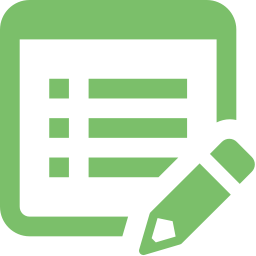 An answer key is provided and can be downloaded from the resources box. Reveiwed foundational concepts that are required for CSA+ objectives. Reviewed tools used to collect information about a network Reviewed objective 1.1 Given a scenario, apply environmental reconnaissance techniques using appropriate tools and processes. 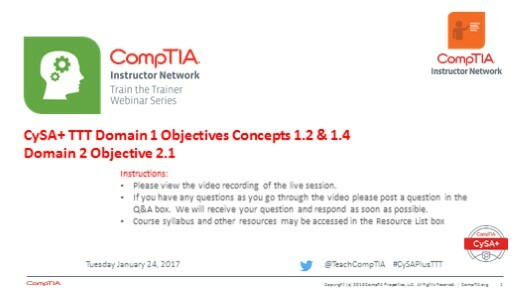 Reviewed Objective 1.2 Given a scenario, analyze the results of a network reconnaissance. 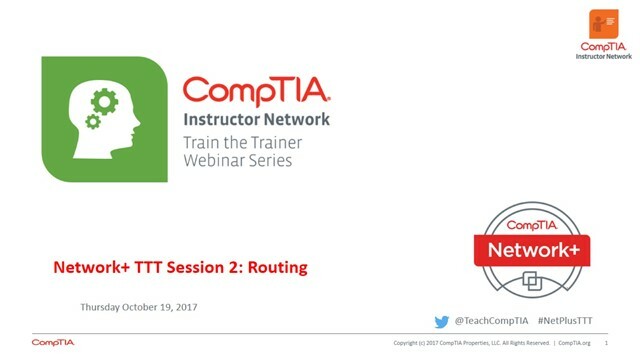 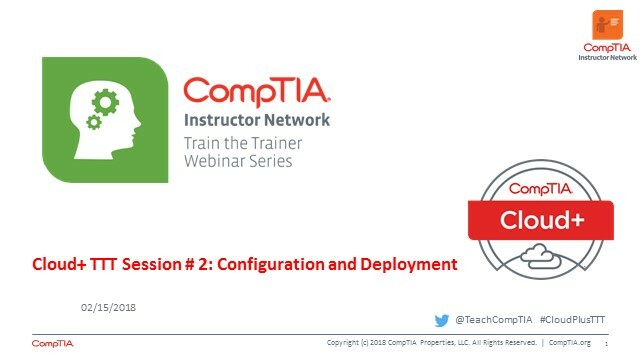 Cloud+ TTT - Session 3: Configuration and Deployment Cont. CASP TTT Session 2: IT Governance and Risk Cont. CASP TTT Session 11: Security Assessments cont. 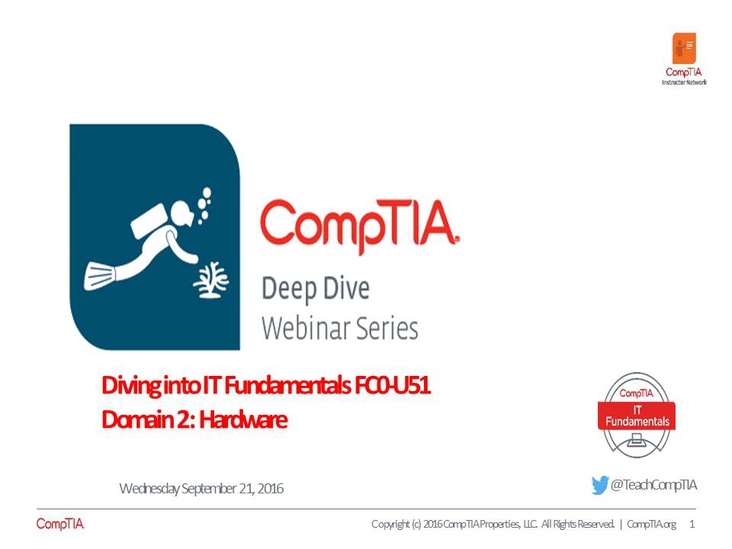 CIN October Cyberfest Series Week 2: What is your network build with? Hay, sticks or bricks?